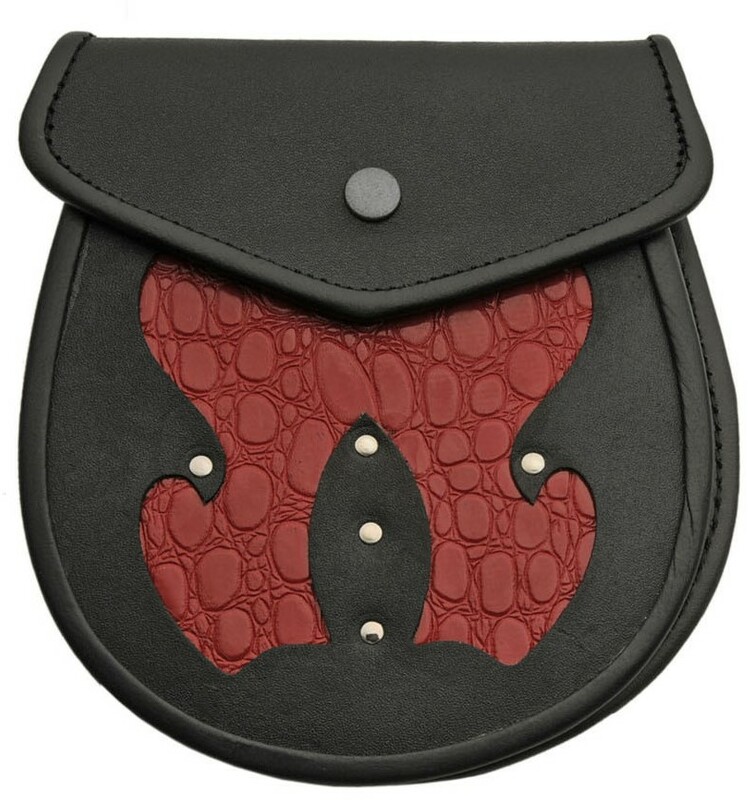 Basic Tribal Leather Sporran. A unique sporran featuring a leather inlay body. With a pin locking Comes complete with Sporran Chain.